Moving for a new job isn't something you take lightly. Before you accept a relocation package, ask a lot of questions and negotiate the details very carefully. You'll want to do an inventory of your own needs and those of your family to make sure the move is right for everyone. Without this essential preparation, relocating for work might cause more problems than it solves. If the move terms and conditions don't meet your needs, you might not do the job at your fullest capacity, which could hurt your career long term. As of 2018, new job relocation expenses are no longer deductible, which makes negotiating with your employer all the more important. Here are some tips on how to make things go more smoothly. Will you have to pay for any relocation costs out of your own pocket? Will you have to get reimbursed for expenses or will your employer pay for things ahead of time? Will the employer provide you with temporary housing? What kind of accommodations will be provided and for how long? 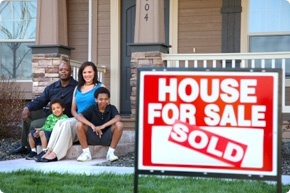 Will living expenses be covered while you're looking for housing? What kind of assistance will the employer offer you while you look for housing? Will you be reimbursed for fees charged by home listings services? What about the cost of transportation to and from places you're considering moving into? Will the employer subsidize deposits on new housing, and will there be any financial reimbursement for any period of time in which you have any overlapping obligations on rent or mortgage on the home you're moving out of? Will the employer pay for relocating your pets? What about cars? Will the employer provide any assistance for your spouse or partner's possible job search? Will the employer assist with placement of your children in the local school system? What kind of support will your employer provide for your obtaining a local driver's license in the new location? Will the employer adjust your salary for any difference in the cost of living between where you live now and where you move? How much time will you have to look for a new place before you start the job in the new location? If you're moving to a different state occupied by your existing employer, what paperwork will you need to file to change your tax withholding to reflect your new location? How might your health insurance change upon moving to the new location? The stress of relocating for work can be minimized by careful planning and negotiation. If you figure out your needs in advance, the transition will hopefully go more smoothly.